I got some more time to work on the wine rack today. The purpose of this piece is more decorative than needed for all the wine we have. Truth be told, we’re really wine wienies and don’t drink that much but need something to fill the window inserts and this piece seemed to fit the bill. This entry was posted in router, wine rack. Bookmark the permalink. What's the wood? 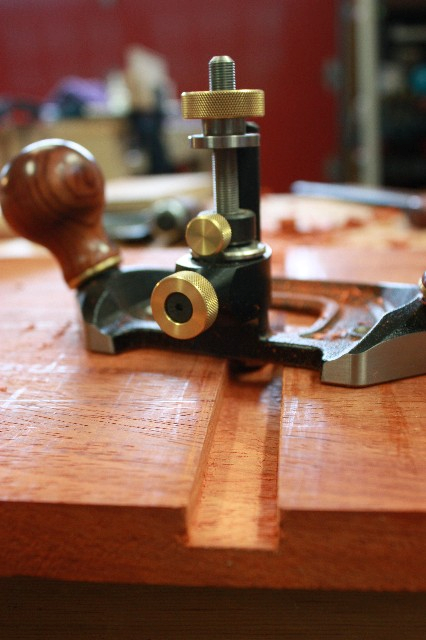 Isn't a router plane about the most satisfying hand tool to use? I love projects that I need one for. Its paduk. Sorry should have said so. 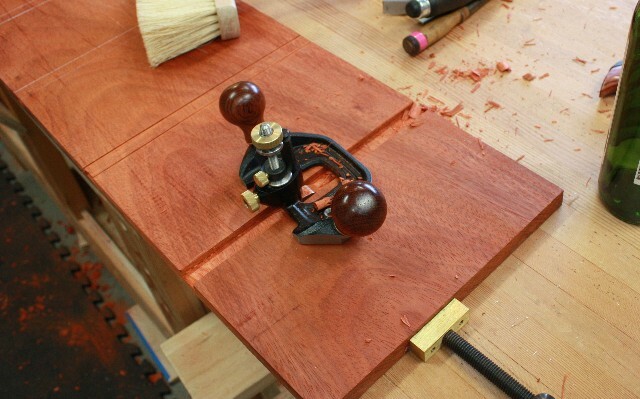 And yes, the router is very satisfying. I always get bummed when it finished cutting.